The RC805 has been around for a while now; yes it doesn't boast 40 channels like the latest FPV receivers do, but the 8 channels it does support is enough for people who fly on their own. Also, the Rx is a nice small unit and simple to use thanks to its number display and push button channel selection button – thankfully there’s not a fiddly little dipswitch in sight! 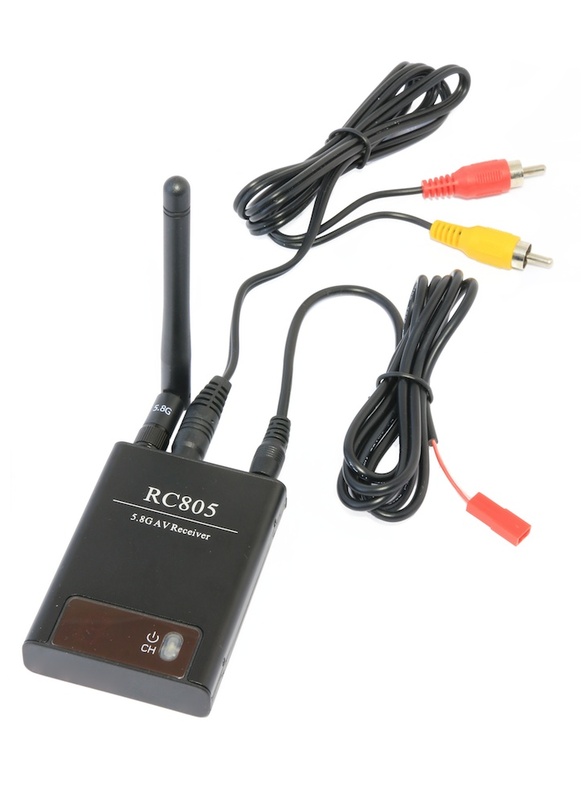 The receiver comes plug and play with a power and RCA cable, and it features two AV outputs which are handy if you want to plugin video goggles and a video monitor at the same time. 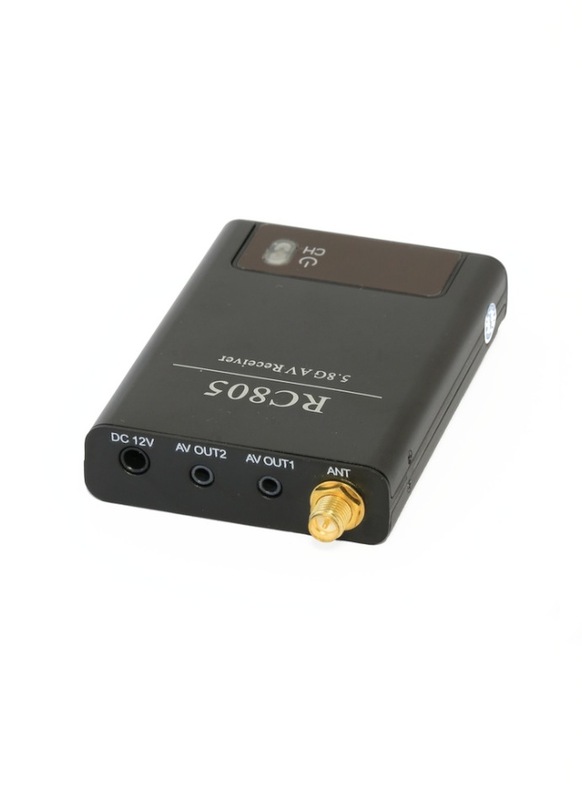 The RC805 is a perfect match for the Boscam TS 351 200mw FPV transmitter. 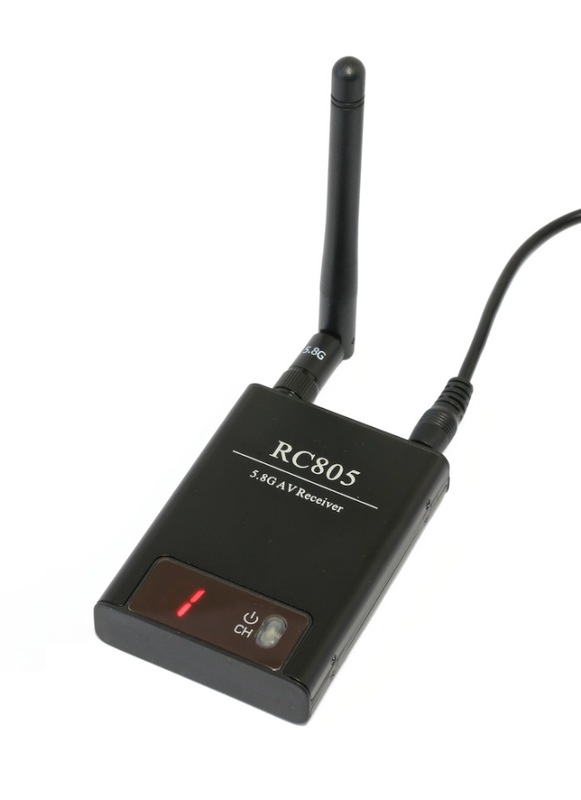 Quite simply, for the money you can’t really good wrong, the RC805 is a well-proven FPV Rx. I am looking at using one of these for a long distance cam project but it wont be connected to a drone. Would it be possible to wire it to something like a 12v 4.2AH sealed lead acid battery? Hi Ian, yes any 12v power supply with do. 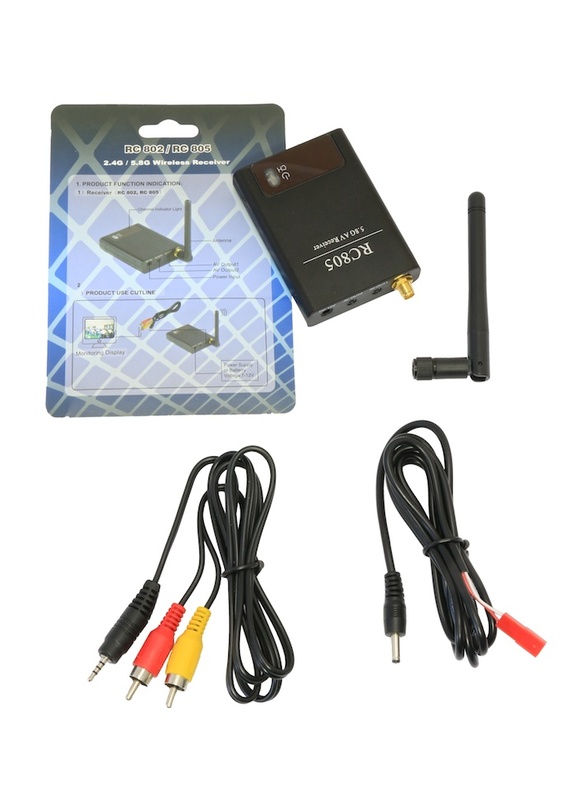 Can this receiver used with transmitter Boscam TS 5832? Yes, using band E on the Boscam TS 5832.